In this episode we’re talking to Dr. William Lagakos. He has a PhD in Nutritional Biochemistry, Physiology, Endocrinology, Inflammation and Insulin resistance. 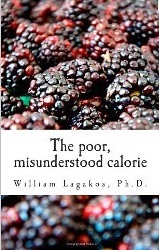 He’s the author of “The poor, misunderstood calorie” and inofficial king of research tweeting.